Gangtok is the capital of Sikkim and is situated at a height of 5,500ft above sea level. 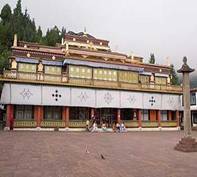 The city has become the famous centre for Buddhist learning and culture, along with political, commercial, religious and cultural activities of the people of Sikkim.The city attracts a major crowd ever year for it is provided with a number of tourists attractions by nature itself. It forms major revenue for the state. It is also very easy to get here for the state capital is well connected by all means of transport. Gangtok located in the lower hills of Himalaya is located in the south of East Sikkim. Gangtok covers the western side of a long ridge flanking the Ranipul River. The earliest reference of Gangtok in history is made around 1716 along with the construction of Gangtok monastery. It is only after the Enchey Monastery in 1840 Gangtok became a famous pilgrimage centre.Gangtok was made as the state capital first in 1894 during British rule itself by the Sikkim monarch Thutob Namgyal.Under the British reign Gangtok was a major centre for trade between Tibet and India. After the independence of India Sikkim became the 22nd state of India along with Gangtok as its capital. This festival marks the end harvest period and welcoming the next season with dance to bring good fortune. This is the day of Sikkimese New Year, where people celebrate it with great enthusiasm and feast. This is a festival of the Hindus welcoming the spring during which they get a dip in any of the holy spot. 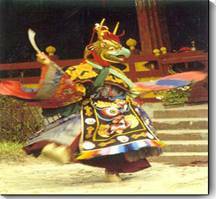 This is masked religious dance festival welcoming the Tibetan New Year which falls between January to February. This is the Tibetan New Year, where people of Sikkim celebrate it with great enthusiasm and by feasting. This is a two day festival which takes place Losar during which a pot of holy water unveils Sikkim�s forutne.This water is then distributed among the devotees. This is celebrated in January. The people of Sikkim celebrate this day as a day of enlightenment by Buddha. During this festival there are processions happening in the place where monks and lay Buddhists parade with religious banners, icons and holy books. It usually occurs in the month of May. This is an international flower festival happening in the months of May. Different species of flowers are exhibited in the fair, which pulls a major tourist crowd. This temple is dedicated to Lord Hanuman and is built with an ancient architecture. It is located at a distance of about 11kms away from Gangtok. This temple is dedicated to Lord Ganesha and the special feature of this temple is that it cannot accommodate more than one people and they have to crawl and get into the temple. This is located at a distance of about 24kms away from gangtok and is one among the few noted monastries here. This is situated in the close proximity of the town constructed in the year 1721 AD. This is religious spot of gathering for the Lamas. This is said to be one of the most beautiful monastries in Sikkim and is situated at a distance of about 28kms away from Gangtok. Kabi Lungchok - This is a place which is housed with a huge stone pillar and statue. This place marks the union of Bhutia chief Khey-Bum-Sar and Lepcha chief Te-Kung-Tek and is located at about 17 km from Gangtok. 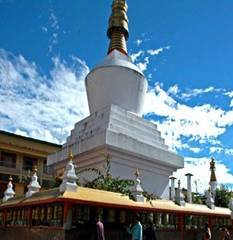 This is the biggest stupa in the state of Sikkim built in the year 1945. This is also one of the most visited tourist spot in Gangtok. This is a building displaying the British architecture and was constructed in memory of Claude White who was the first Political Officer of the state. This is a very beautiful building with number of collection of statues of Buddha and exquisite wood-carvings. Locally it is also referred as the Royal chapel and is one of the most important places of worship for the Buddhists. This is located at a distance of about 12kms from Gangtok.It has a very huge and rare collections of orchids which cannot be seen anywhere else. This park which is known as Rustomji Park was built in the year 1950. 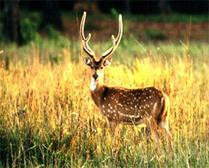 Here you can get to see the different kinds of deer, Himalayan Bear and the Red Panda. This is also a beautiful view point of the hills surrounding. This is an institute which mainly promotes the Buddhists tradition and culture where you can get to see old Buddhist books, Buddhist icons and old manuscripts. This institute is located at Deorali. This Park exhibits a wide species of Himalayan fauna like the black beer, barking deer, snow leopard, civet cat, red pandas and the spotted deer. 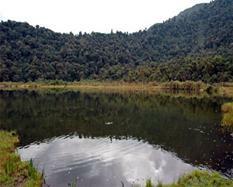 This is believed to be one of the most sacred lake in Sikkim situated amidst a thick forest. The water in this lake is supposed as clear as a crystal. This place is concentrated more towards the east Sikkim. This hill is a small picnic spot lying at an altitude of about 10300 ft giving a beautiful view of the neighbouring hills and the neighbouring state of Bengal spreading across Kalimpong and Darjeeling. This industry mainly promotes the sale of local handicrafts and it is located at a distance of about half kilometer from the main market of Gangtok.The handicrafts manufactured here mainly includes hand carved wooden tables, woven woolen carpets, Batiks and exquisite dolls, hand-painted masks, lamp-stands, shades and bamboo-craft. Esoteric masks, flashing silks, opulent brocades and embroidered boots and much more. This places is at a distance of about 25-km from Gangtok and it here where the treaty of brotherhood between, the Lepcha Chieftan Tetong Tek and the Tibetan chief Khye Bhumsa was signed. This spring is known for its medicinal properties especially for treating skin diseases. Added to these springs are four holy caves popularly known as "Kadosangphu".This place is located at a distance of about 25-km from Gyalsing and is immediately after the Rangeet River. Gangtok.This Lake is considered to be a holy and sacred. This hot spring is located at a distance of about 23km from Yaksey,situated near river Sebu-Chu at the foot of Donkia-La pass, connecting Lachung valley to Lachen valley. This lake has got its source from River Ranpochu and it lies between the mountains below Jelapla Pass. This place has got tourist lodge for travelers accommdation.It lies at a distance of about 20km from the town. This view point is one of the most visited tourist spots in Gangtok at a distance of 8km on the Sikkim highway. From here can get to capture the beautiful view of Mount Khangchendzonga and Mt. Siniolchu. This garden is named after the rare variety of flower which is got here namely ipepac.The garden is adorned with hundreds of varieties of orchids and medicinal plants. This garden is spread in an area of about 6 acres and is about 14km from the town of Gangtok. 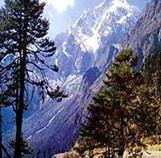 Yumthang is a valley at 12,000 ft located at a distance of about 149 km from the town. It is bound by snow clad mountains all around looking down on this high valley full of which has colourful wild flowers. When you visit Gangtok handicraft items occupies preference in your list. The items include carved furniture, the dresses, Lepcha weave bags, Carpets & Durries with intricate designs and colourful decorations and wooden and bamboo artifacts. The main of area shopping in Gangtok includes Old market, New Market, Lal market. The handicraft and handloom directorate office and the showroom are on crossing of MG Marg and New market. The Gramin Vikas Agency showroom is also located here. In these showrooms one can buy carpets, masks, bright Choktse tables and Thanka hangings. The nearest airport is at Bagdogra,which is about 120kms away.Indian Airlines and Air Deccan have direct flights from Delhi,Kolkata and Guwahati. The nearest railway station are at Siliguri 124kms away and new Jalpaiguri at about 120kms.New Jalpaiguri is directly connected by rail to all important towns and cities in India.